I have enjoyed watching the Bulls this year, after struggling whether or not to keep my TV screen intact during last year's campaign. Something I'm seeing with this Bulls team is that everyone seems to love Jimmy Butler. His value is at an all time high, yet he is not the kind of player that will take a team to a championship. I don't see the Bulls ever winning or even being serious contenders with Butler at the helm. To me, he is more of a second or third option on a championship team. 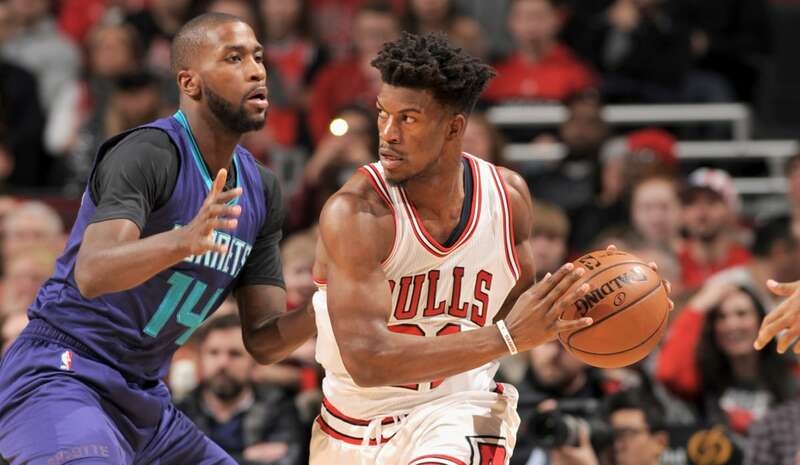 I know that this won't happen, but I wish the Bulls would take a shot at acquiring some high draft picks and young talent in return for Butler. There's no place worse than sports purgatory: a borderline contender that can never amass transcending talent. It's where the Bears have been since 85 and Cubs until Theo. Bulls are right there now. Even though it's no slam dunk, but it's generally true that top five picks are what change the direction of franchises. Sam: This is the eternal question, along with whether there is a God and if you can you find a plumber on Sunday. It haunts all but about four NBA teams, lately Golden State, Cleveland…,and I’m running out of teams. Though ask the 76ers; you can get worse. Or the Timberwolves out of the playoffs for a decade while doing that or the Kings. Yes, you can say bad management, but the lottery system doesn’t guarantee the best draft picks, and then there may be two in a three-player draft. Of course, the debate is when you have a star you build around him and add stars, though that formula is about to prove troublesome since the new labor agreement gives home teams even more ability to pay their player to the point DeMarcus Cousins is rumored to prefer remaining in Sacramento with their endless search for eighth place. You’re going to have to really hate living somewhere to take $50 million less. So not only do you have to be lucky in the right draft, but make the right pick and then will you be able to get a player as good as the one you are trading? But if you are not a contender what have you got to lose? I know the Cubs rebuild is fashionable now because it worked, but mostly it doesn’t work because more teams try it regularly than succeed. Then you say keep your star player and if not free agency, well then build assets and then maybe a team goes nuts and a Harden is available. Sure, it’s happened. But that’s hardly a plan. And we all know if you are in the middle competing for the last few playoff spots every year, then you are getting mid and low round picks who project perhaps as nice players, but players you can get in most every draft and cheaper since they are not close to free agency and you have to pay them. So then where are you going? These are the questions all teams consider all the time, and even more so now with so few serious contenders. The Bulls are merely among them. Bulls seem to be shopping Butler... not sure why... every team would like to draft well and mature a player into a star - that's what they've done with him and on a large but reasonable contract given his performance. The big ego type stuff seems to have disappeared due to Wade's influence and he's not unhappy with the Bulls. I'm not sure how they could get equal or greater value in a trade unless they get Westbrook or LeBron or someone from Golden State (no chance on any I assume). If they get draft picks then they're just resetting the process of doing what they did in maturing butler. He's their one reliable two way player and might be in the top 10 players in the league. I don't get it. He was supposed to be the core of the team, with Wade and Rondo (regardless of whether he remains) as near term fills ins without giving up too much cap flexibility for next year or beyond. Sure there's no harm in listening to offers, but if the above is true, then why introduce additional drama? Sam: Of course, there’s the other side of the debate, and as far as I have heard the Bulls are not shopping Butler. But when there are “rumors,” speculation and “league sources,” which could be another reporter, an agent who wants to hurt the team because they wouldn’t sign his guy or a rival gm trying to run down a player’s value, a team cannot respond. Because if they ever do and then don’t, then everyone says the time they didn’t must be true. The team isn’t creating drama. They are victims of it; all teams are. Do you ever hear the Spurs address trade rumors? Comment ever once on potential personnel moves? And that’s supposedly the model franchise. Everyone listens to offers, and when there are these rumors—I’ve known some teams to actually start them so they have a reason to call—teams all call to see if they can steal someone. It goes on every day in the NBA. If media really knew the trade talk that goes on daily it would be amazing and fun and much better than the few rumors that pop up now and again. I guarantee you teams call about Steph Curry every time there’s a story on Durant taking away his shots. And plenty last year on James Harden when Dwight Howard and he weren’t speaking. And we know there always have been on Kevin Love, Cousins and pretty much everyone but LeBron. And, hey, the Clippers were always calling about Jordan. Should that have been a story? Bulls spoke to Clippers about trading Jordan. It was true. They said no. Where are those Russian hackers when we really need them? I wanted to get your opinion on this recent surge of articles of Derrick Rose during this "saga". While there is merit to the argument that he should have informed Knicks on his situation (and was appropriately fined), I was appalled by reaction of the media and public. 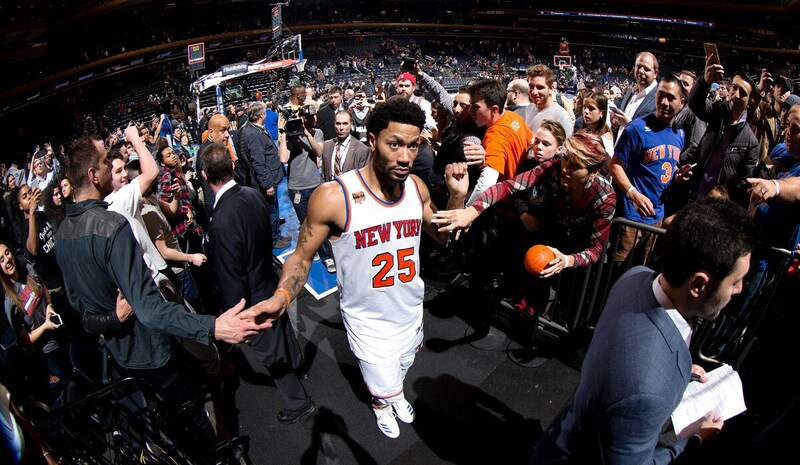 That instead of wishing/hoping that nothing serious ever happened to him and his family (they could just always wait for the news from Rose's camp instead of demanding that they should know it asap from the team), they instead concentrated on his lack of "professionalism" and that this should be the end of DRose in NY. In my point of view, this is all just media trying to speculate on what really happened just to milk the story as much as they can, which is sad especially with all these headlines on "contemplating" that he wanted to get away from basketball just now, having a "report" that he wants to get a max. If there really was more to this story, then Rose would have gotten a lot more punishment right away. Sam: I said now that Rose is out of Chicago I wouldn’t have to address this any more, but as Michael Corleone said, “Just when I thought I was out they pull me back in.” I’m only venturing in again because of the amazing media and public preoccupation with demeaning Rose, who I never can figure out what he’d done to deserve the condemnation. Here’s a guy not in trouble—I know, assault case, but not guilty, which still should matter in our country—keeps to himself, never undermines teammates or coaches, just basically wants to play basketball and then train to play basketball. Maybe not the most physical defender; I’ll accept that. Maybe tries to do too much himself at times; guilty. But the level of vitriol is unprecedented. I was in New York with the Bulls this week after Rose had spent a few days answering these questions. Then reporters were in the Knicks locker room before Thursday’s game. Players these days before games mostly shoot around a bit and then go to all these hideaway rooms teams have for players. Rose was the only Knicks player in the allotted 45 minute pregame media window to come into the locker room and speak with reporters. He doesn’t have to, but he also understands they need to get their stories and have a job to do. Yes, it’s that guy they save the outrage for. I’ve rallied to Rose’s defense often over the years, and it’s not because I have any special relationship with him. I’ve never been out to a meal with him or hung around talking in the hotel lobby, as I’ve done occasionally with some others. But like I hope others want to be, you should stand up when you see someone bullied. I know, I know, millionaire, how can you bully him? But that’s what this media frenzy with Rose has been about for years, someone who cannot strike back, who is an easy target for ridicule because maybe he hasn’t been as well educated as you coming out of Englewood, who you can make fun of. I know Rose is way past this and it really doesn’t much bother him. But it’s like standing at the schoolyard and seeing a kid pushed around. You should never just watch. I agree Rose should have called the Knicks, but he didn’t and was punished for that. This is what people basically don’t understand about celebrities. They don’t all have someone to put on their pants for them, even if it’s one at a time. So here’s a kid who’s probably lonely, probably realizing a bit he’s never going to be quite the player he was before as hard as he’s worked to come back, even if he’s pretty good now, who doesn’t have a staff around him, who has been close to his family, who is back in Chicago. Rich people have bad days, too. Just because you make a lot of money and are famous doesn’t mean you think clearly all the time and do what the chorus of critics demands. Robin Williams committed suicide. “Hey, he seemed so happy and had it all going for him.” I’m not making a parallel, but you have no idea what is going on in the lives of people. Rose is a famously private guy, shy. We always heard when everyone demanded he lead that he liked to stay in the background and watch people, survey. Here’s one of the better people in sports, well respected by his peers, never one, even to demean a media person, or teammate. Try interviewing DeMarcus Cousins. Someone who values his team and has values. Why the anger? Because he didn’t play nine months after ACL surgery when players routinely take a year off? When it was obvious even if he did he wasn’t close to fully healthy. Because he was injured two more times after more time off? Because his syntax is not always to the preference of the critics? Sometimes people act in an emotional way. OK, more than sometimes. Rose made a sudden decision about his family—which clearly it was—and didn’t call in. OK, he was wrong, apologized and was punished, a $200,000 fine. That’s what you do when you make a mistake, his apology more public than yours. You have it wrong if you think because you have money you have people around all the time pointing you in the right direction, thinking for you. It doesn’t work that way. People live their own lives, make their own decisions, make plenty of mistakes and then live with them and move on. Haven’t we heard money can’t buy happiness? Also, remember this is a guy who went right from a searing and often humiliating public trial all summer right to training camp and the season without a break, on a new team in a new city with new pressures, living away from everyone he knew, out of routines that were comfortable, an obvious homebody person who teammates always say stayed to himself. And then his mom calls with a family situation, and we know how close he was to her. Remember that MVP press conference when he said he’d guessed they finally made it. I’ve rarely seen someone like that with their mother. He had an incredibly emotional reaction you cannot know. He had a few bad hours and, fortunately, nothing serious happened. It should mostly be good news, but then we all owe it to ourselves to stand up to the bullies. Can/Will Derrick ever average 20ppg again in his career? Sam: I don’t think so, but not necessarily because he cannot. He’s playing very well for the Knicks. Remember, when he came to the NBA he was projected as a 15 to 20-point scorer since he played that way in college, averaging 15 points. But when you have Keith Bogans as your shooting guard, so you have to shoot. And Joakim Noah as your center. Rose did an amazing job with the Bulls enabling those players because he had to score. I’m sure he got to like it. I asked Wade after the Knicks game about taking on the offensive responsibility with Butler out, and usually a guy talks about having to do what’s needed, but Wade said he liked to score. He’s much like Jordan in having the unique ability to say the right thing at the right time because he’s not trying to belittle you or fool you or be dishonest. It’s a trait many would do well everywhere to understand. Rose doesn’t quite have that, but few do. Derrick, though he isn’t a naturally gifted distributor, plays with two high scorers now in Anthony and Porzingis. I don’t know if he’ll be back with the Knicks, and already that media mob there, most who seem to root against the Knicks, anyway, are clamoring for someone else. Well, good luck. It’s difficult to get a good point guard, and Rose, while he may not be ideal and certainly it was time for him to move on from Chicago, can make plays for you at big times. Obviously, the health history is an issue, so his free agency may be one of the most intriguing to watch this summer. At least the Bulls don’t have that problem to deal with. I just heard that Valentine a no-go for (Thursday), feeling ill.
Too bad, but don’t sleep on this kid. I think he’s going to be the real deal. Just needs to get some PT & get used to the NBA 3-pointer. I worry a bit that maybe McD will never calm down, or maybe Portis isn’t (who we think he is). But I see good things for Valentine. His 3-pt. shooting improved every yr. in college, and may not have peaked yet. Sam: I also liked what I saw with Valentine and did in the summer. It was unfortunate (curious, also) that he fell behind after just getting hurt, but with so many new players and so much uncertainty, it probably just came down to seniority. Mostly he’s spoken in sports cliches with media, so you never much got a feel for who is he. I loved his response with John Wall and Wall saying he was unleashed by Valentine’s actions. That was stupid—Of Wall! Exactly what I thought at the time. You need a rookie celebrating to get you to care about the game? Good for Valentine. It not only was the exact right response, but it showed he doesn’t fear the moment or the opponent, that he wants to compete, and that he has made shots at better than a 40 percent rate in college and isn’t afraid of taking them bodes well. I spoke with him at length at morning practice. He was funny, alert, excited about another playing chance. He was projectile vomiting within hours. I’m not completely comfortable with that sequence. I normally don't bash teams like most fans in sports who think they can do the job better, but with this Rondo they need to come out and tell the press and the team why Rondo was benched right away, not let it linger and hang out there for everyone to pick apart and speculate. Do they not realize this is how problems arise? They are letting everyone else create the story instead of telling us what it is. Sam: I have written about this several times; of course, I am not the team, but it seems pretty obvious to me what occurred. The Bulls traded Rose and had no point guard on the roster; they also let go Aaron Brooks, not that he was a point guard. So Rondo on a one year deal seemed pretty good, a guy to push the ball and throw to Butler, a former All-Star and NBA champion. Isn’t that what fans always want? And there weren’t many choices for one year deals. You want Ty Lawson? Then Dwyane Wade shockingly wants to come to Chicago, a chance to get a star on a short term deal for a transition, and whom Butler badly wanted and recruited as well, a leader and mentor, one of the best player/citizens the NBA has known. Say no? The Bulls try it and find out, what do you know, three guys who have a tendency to hold the ball to survey the court or run with the ball and who also aren’t great perimeter shooters don’t work that well together. No, Hoiberg was not ordered to play young guys, but they were there and were worth a look. He needs to know also. Obviously, Rondo wasn’t happy not playing on a short deal and trying to save his career. And perhaps he could have played some minutes with the reserves, but the team was slumping and the coach wanted to try something different. Isn’t that what he should do? Rondo got paid a lot of money. But he obviously wasn’t part of the future. Sit Wade? Of course, not. Carter-Williams was coming back, so they wanted to see what he could do as they’ll have to make a decision on him, too. Rondo was just odd man out for awhile, but it was just five games. Knowing Fred, my sense of the seeming miscommunication was he doesn’t want to make players look bad in public or let them feel they’re being punished, so he didn’t want to make any definitive statements knowing he’d put Rondo back in there sometime as he did with Mirotic. 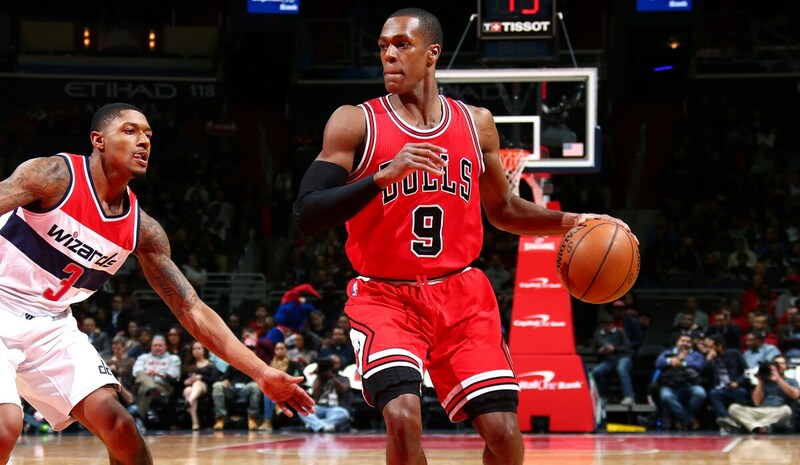 Rondo’s back playing now and we’ll see how much of a role it becomes. It’s no distraction to the team; everyone plays hard. Rondo has been popular and great with teammates, good in the locker room. But you also could see Butler and Wade weren’t always great fits together with him. So Rondo became the odd man out; it’s the risk the player takes when he signs a short term deal. If Wade hadn’t signed afterward it would have been different; but he did. It’s just that teams cannot go running to the media every time they do something and say this was why and this was what we were thinking. Hoiberg said it was a coaching decision. Rondo didn’t do anything to deserve it. But neither did I different times when The Tribune brought in new editors and or writers and said now I had a different job or no more column or three times a week down to one. It happens to us all in our jobs at one time or another. It’s not because we did anything wrong or the other person was better. As Rondo said, the coach decides who you are and what you do. It happened to Rondo this time. Can the Bulls sign Dunleavy once the Hawks buyout is successfully completed? Sam: See, you were believing the media again. Of course, I mostly do, but I always love these surveys of people believing the media about two percent of the time and then every rumor or speculation that is published people send it to me as fact. Anyway, Dunleavy, as you probably know, went to Atlanta after you wrote. No offense to the Hawks, and they’ve played well lately, but I felt badly for him as he was so excited to get a chance to play for a title team when he endured so many non playoff seasons as a great team guy. It’s possible he ends up moving again, but it would be to a team close to playing for a title. I hate to admit that on the team site, but I don’t think that’s the Bulls this season. 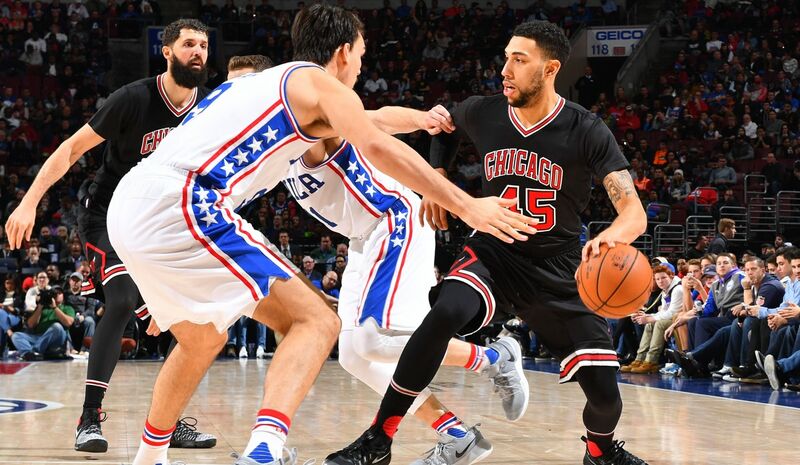 I'm really glad Portis and Valentine got playing time (Tuesday) night - that kind of game could lead to a lot of growth for Chicago's young players throughout the season. What a blessing for guys like Wade and Butler to sit out for a night. Sam: Well, blessing is not the word I’d have used, but I get the point. You want to see at some point if they are part of your group in the future. It’s too soon on a regular basis, but the season tells you that. Valentine has been out so much it’s difficult for him, and Portis has been so in and out of the lineup. You really can’t make judgments until you see them on a regular basis. But they did participate in a good run with the sort of pace and ball movement the Bulls cannot always get from the starters. Obviously, those starters are better players and the Bulls aren’t winning much without them, but the team overall could use some of the dispatch those players showed. Through all the ups and downs of this season through Rondo's benching and Butler's greatness this seems to be the key to the Bull's success: "The bench was huge; knocking down big shot after big shot," noted Butler. "When you miss your shot you have to take that same shot again; we are preaching that to them and they did that tonight and they are a big part of this win." Can it be that simple? Sure looks like it from here, keep shooting those good but not perfect shots that Butler and Wade will get you all year! Sam: Well, they do add up the baskets at the end. Like the guy said, they all felt good leaving my hand. Yes, and it’s been the issue hanging over the Bulls to start the season. 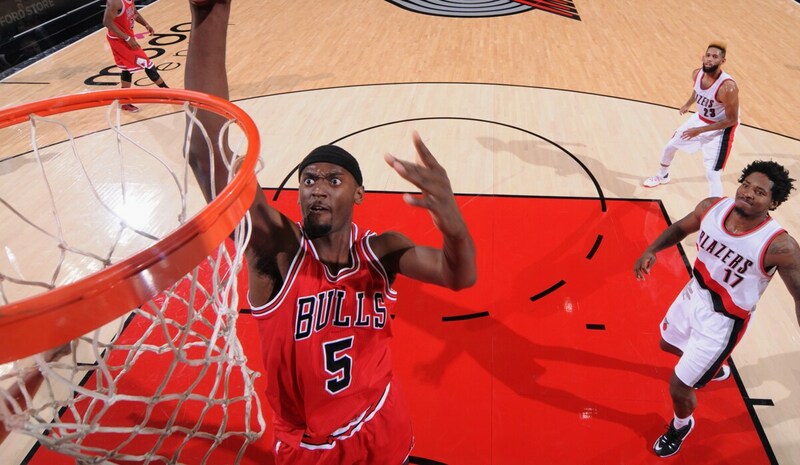 You pretty much knew what you’d get from the starters, though Jimmy has again surpassed our expectations. The question was could you get two guys to make two to four threes a game each, like, say, Doug McDermott and Nikola Mirotic. It’s supposed to be their specialty, but neither has been consistent or accurate enough. McDermott seems to be pressing, knowing and hearing how he’s the best shooter and so feeling he needs to make those to the point he almost seems to be aiming and hoping and wishing and feeling like he’s disappointing everyone. He’s someone who obviously really wants to please and takes the misses to sleep with him. The great shooters don’t; that seems to be his biggest problem now. With Mirotic it’s been more finding what and where his shot should be. He continues to float around the court, taking or faking. Both hit their shots sometimes. If they don’t more often, the team will begin to look at Portis again, who can make the three, but with limited playing time still isn’t sure if he should. And Valentine. So yes if they could, but they haven’t quite yet. Also, other teams actually know that, so we’re not exposing secrets here. And they stand in front of them bothering their view a lot. Is Wade strong GM material when his career is over. Love to see the Bulls keep him in some capacity with a percentage. What a brilliant job he did in recruiting Lebron and seems like lots of positive energy and smarts. Sam: My sense watching Wade is he’ll have the job that decides whether to hire or fire the GM. 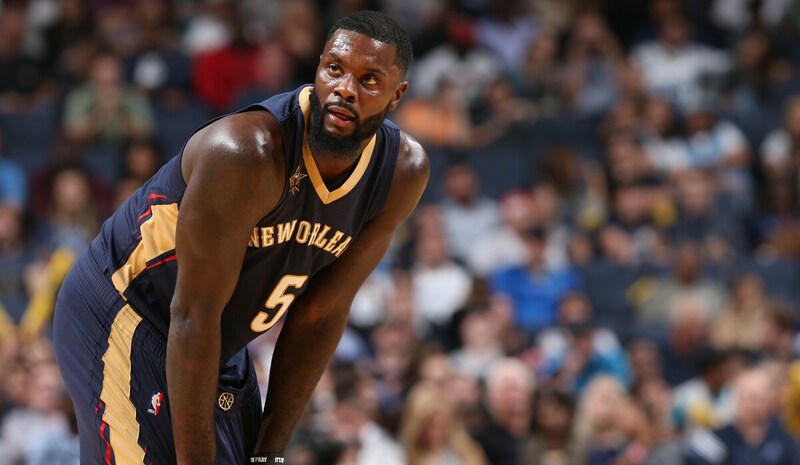 Wouldn't lance Stephenson be a great mid season free agent pick-up after injury? Sam: An erratic guy who’s played for five teams the last three years coming off surgery who basically hasn’t played all season who can’t shoot. Why didn’t I think of that?